Chocolate Covered Peeps take your favorite Easter marshmallow treats up a notch by dipping them in an irresistible chocolate coating. You will never want to eat them any other way again! Nothing says Easter like marshmallow peeps, am I right? 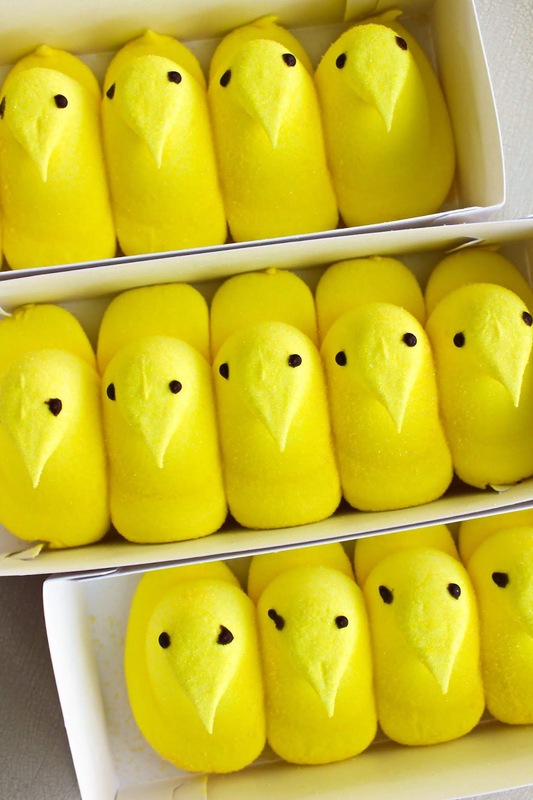 Peeps are an iconic Easter treat and a must-have for every Easter basket. I'm going to be honest with you, though. I don't particularly like them. I mean, I don't hate them, but I don't love them. While I do believe that you've got to have them for the baskets, they always seem to be the last treat hanging around once the other goodies have been gobbled up. 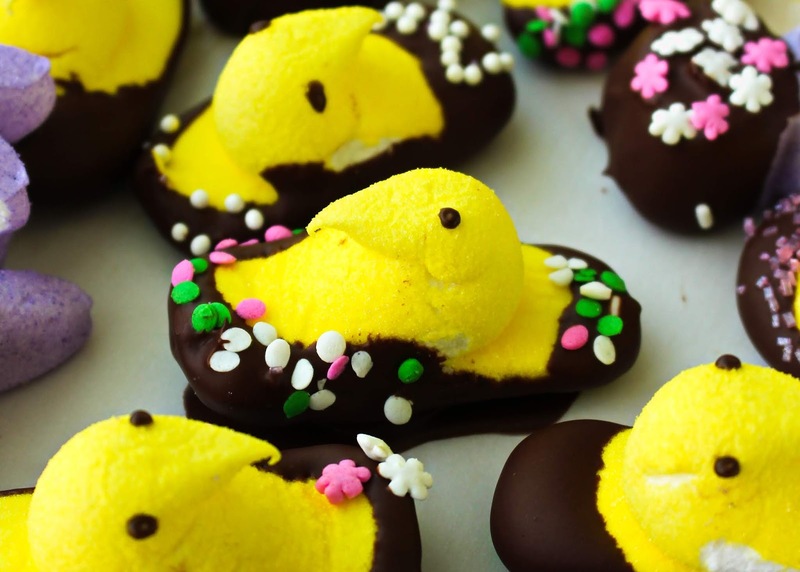 I decided that I was going to upgrade my peeps this year by taking them for a dip in some silky melted chocolate. Genius, right? It is such an easy process that literally transforms marshmallow peeps from being just okay to completely irresistible. 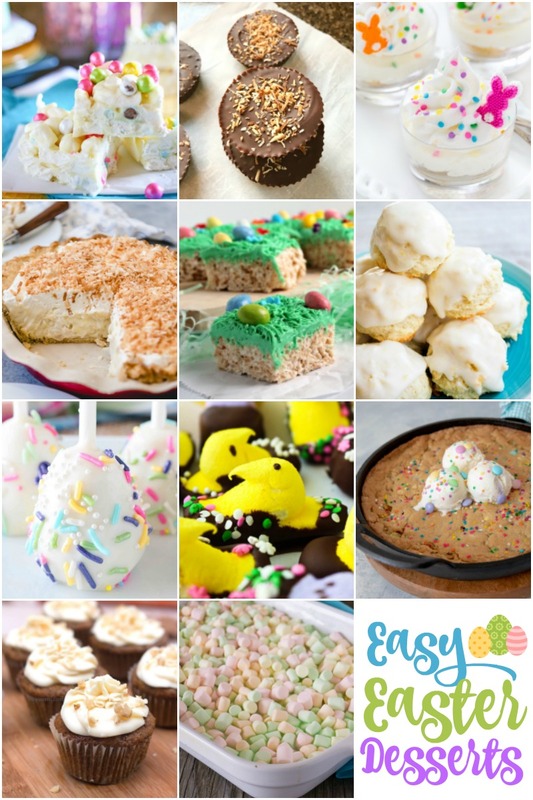 My kids went crazy for them, and I know you're going to love them, too! 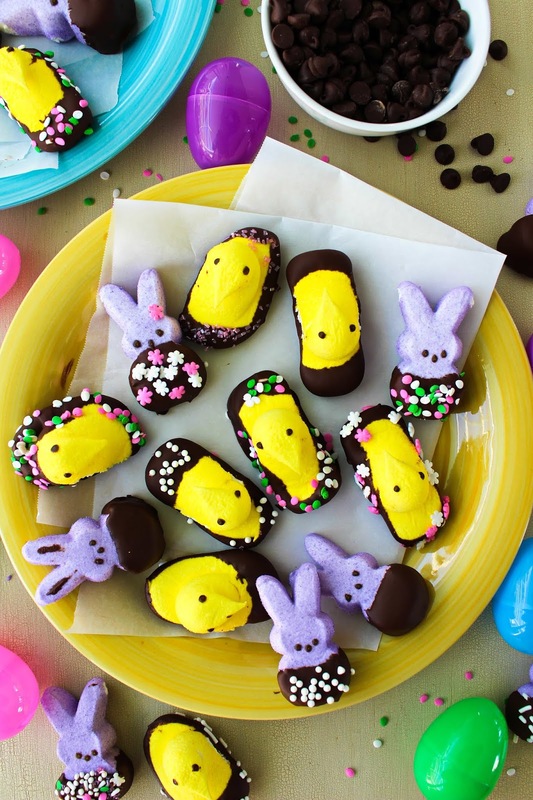 Chocolate covered peeps can be made in just a few simple steps. Chocolate chips and coconut oil are melted in the microwave and the peeps are dipped in the melted chocolate. The chocolate covered peeps are then arranged on a parchment lined baked sheet and placed in the freezer to set the chocolate. See the full instructions below. WHAT KIND OF CHOCOLATE SHOULD I USE? This recipe uses semi-sweet chocolate chips for the chocolate coating, but you could substitute with milk chocolate chips or dark chocolate chips. 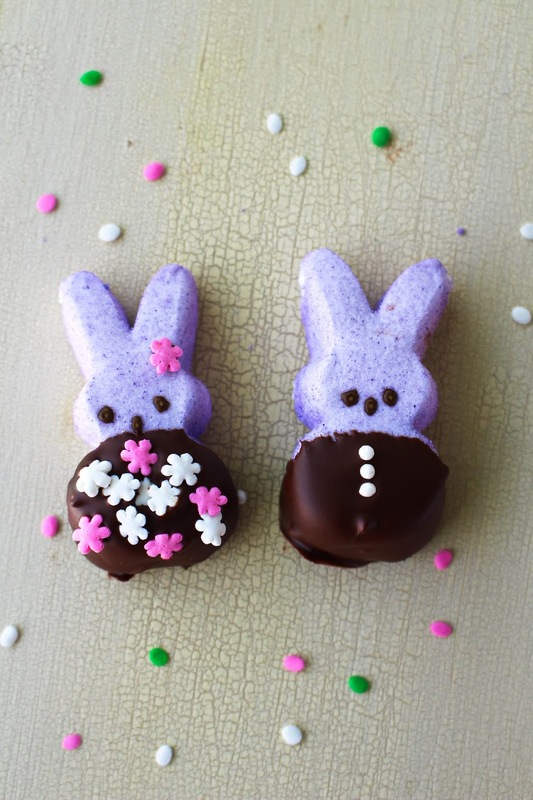 After the peeps have been dipped in the chocolate, you can decorate them by sprinkling them with sprinkles, chopped nuts, or any other edible decoration you have on hand. Leaving them plain is a great choice, too! 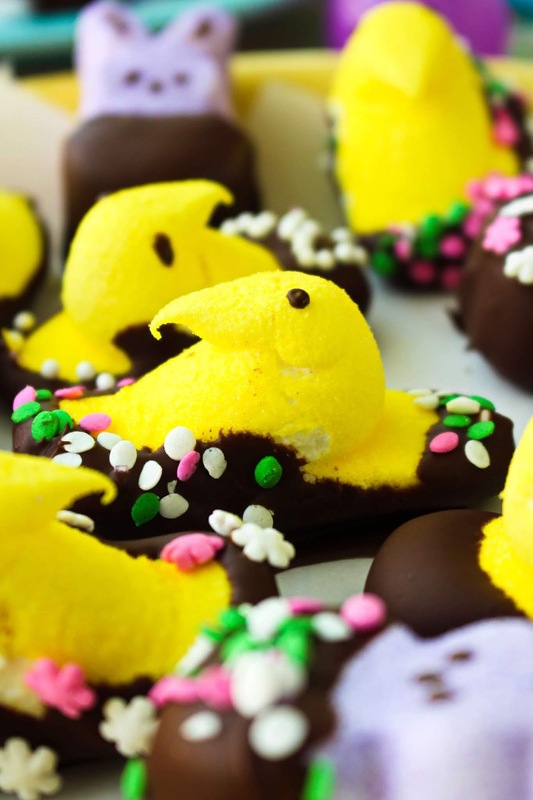 Chocolate Covered Peeps take your favorite Easter marshmallow treats up a notch by dipping them in an irresistible chocolate coating. 1. 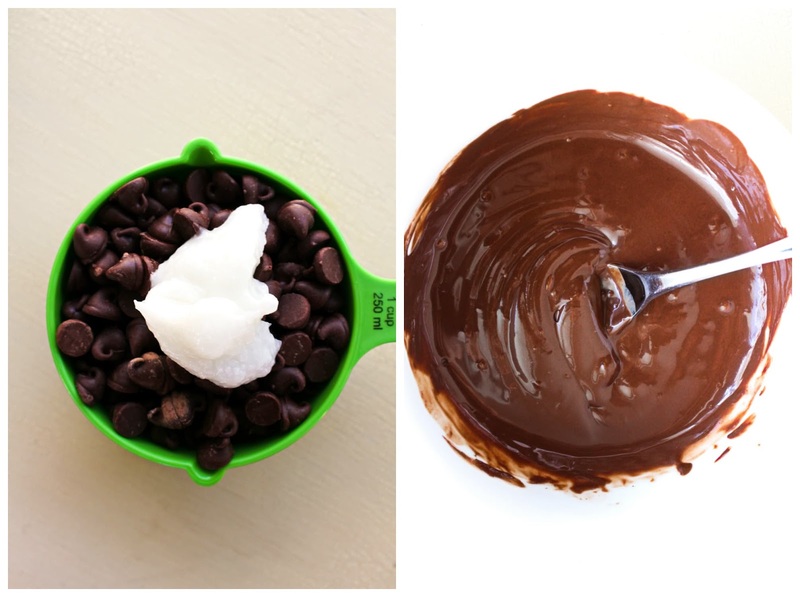 Melt the chocolate chips and coconut oil in the microwave in 30-second increments, stirring between each 30-second interval until just melted. 3. 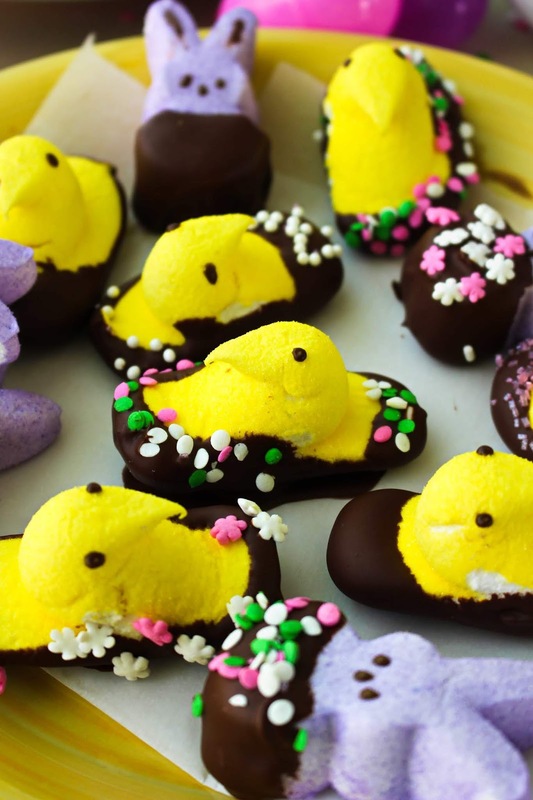 Dip the peeps in the melted chocolate and place onto a parchment-lined baking sheet. Decorate with sprinkles, if desired. 4. Freeze for 10 minutes or until set. Store in the refrigerator.